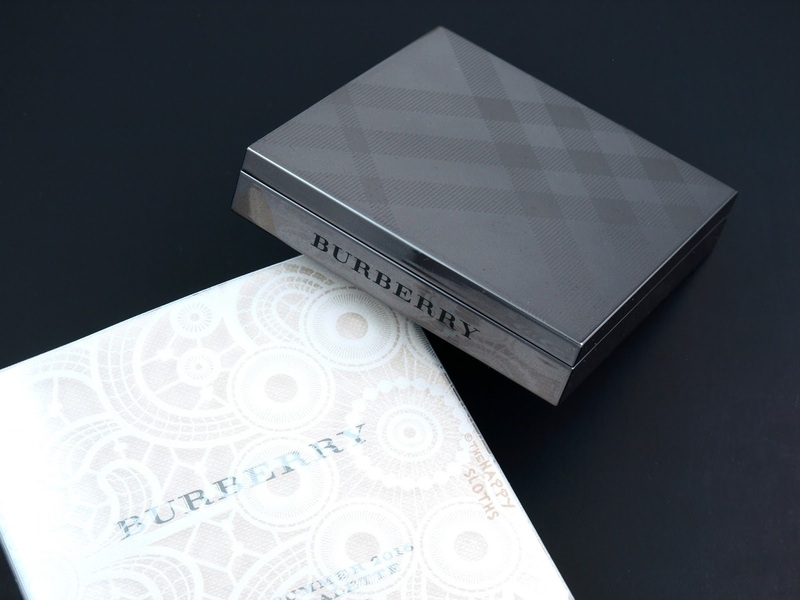 Burberry Spring/Summer 2016 Runway Palette in "No. 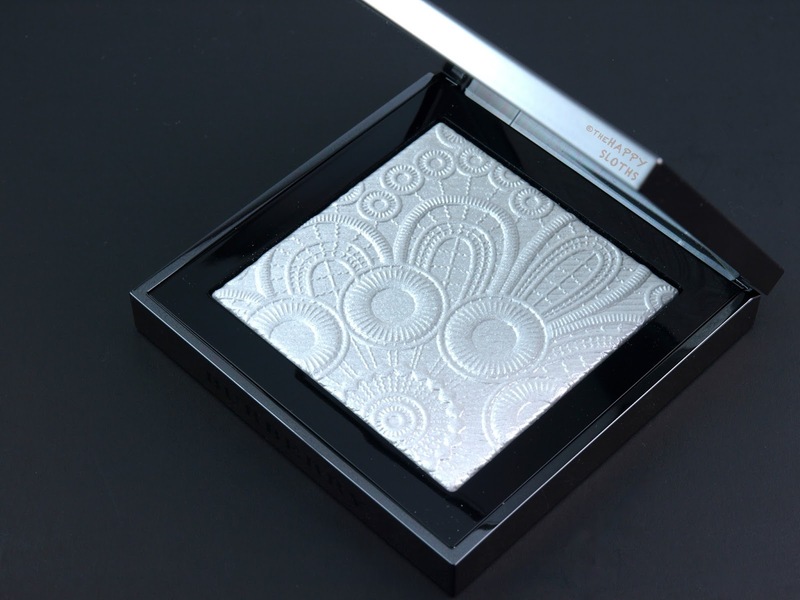 01 White"
Housed in the classic gunmetal tartan print-etched square compact, the Spring/Summer 2016 Runway Palette holds five grams of powder. 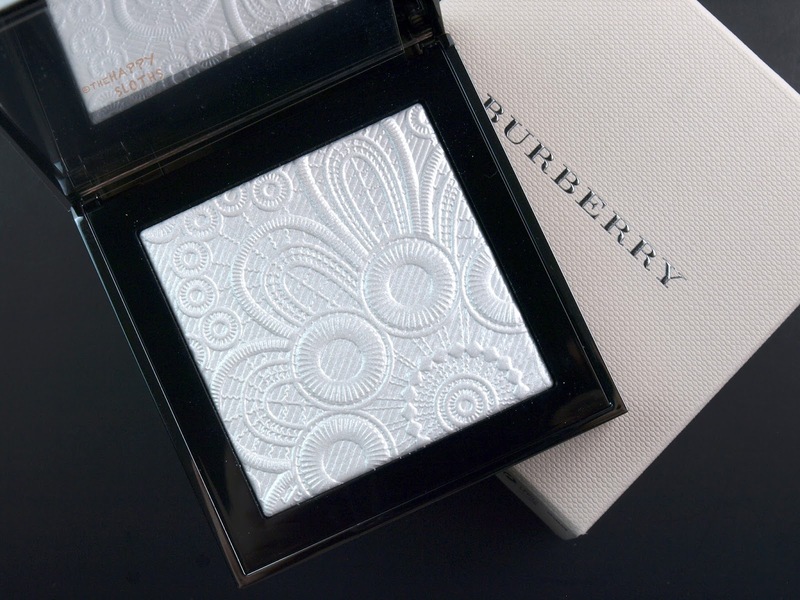 The powder is pressed with a beautiful lace-like design inspired by the Burberry's SS'16 Functionregalia fashion show. The lace pattern is very intricate and feminine, making this a great collector's item. 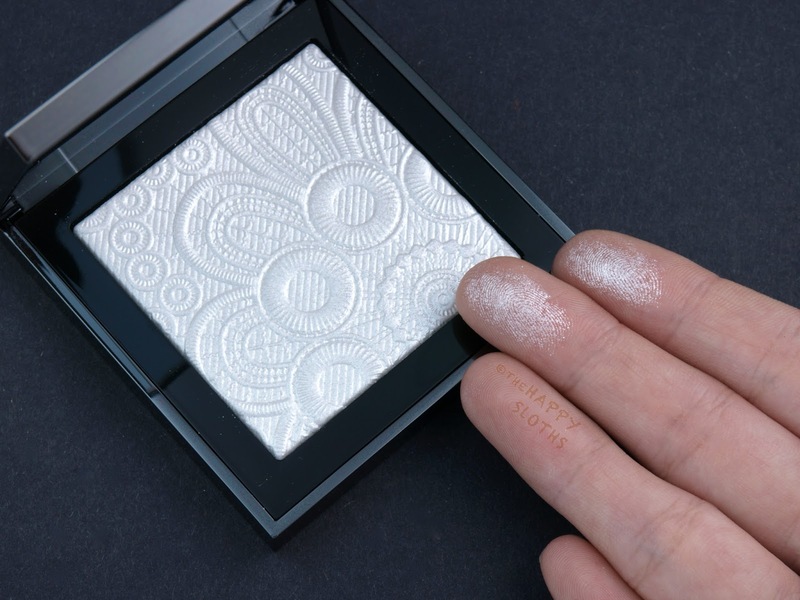 Although called the Runway Palette, this is actually a simple one-shade highlighter powder. Smooth, soft, and creamy, the formulation is very rich. The shade of "No. 01 White" (also available in "No. 02 Gold) is a cool and intense pearly white. 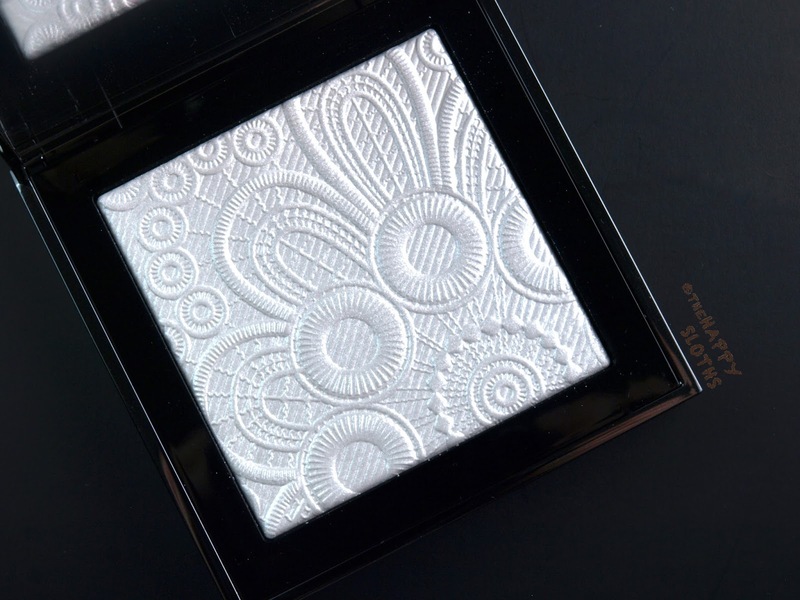 The pigmentation is super potent, almost as intense as a shimmery white eyeshadow, so a little goes a long, long way. I personally would prefer this as an eyeshadow, just because of how intense the shimmer is. Additionally, the shimmers aren't as fine as I would like; they aren't chunky glitters, but they also aren't fine enough to provide just a natural ethereal sheen. All in all, this is a beautiful compact. If you are into a more intense highlight look, then this would be very suitable!